Goods In Transit Claims Management (GITCM) specialises in the management & handling of freight liability claims for insurers and the haulage & freight sectors. Claims are an unfortunate distraction for most haulage businesses but nevertheless need to be dealt with in a timely and professional manner to minimise liabilities, avoid unnecessary costs and maintain positive relationships with customers and suppliers. Recognising the value of having a specialist company to manage this side of its business, Barron Wood Distribution took the decision 5 years ago to outsource the management of all its goods in transit claims to GITCM. An experienced claims department to receive and record details of any claims raised. Professional submission of claims to insurers. Expert negotiation of insurance claims to minimise costs to the company. Recoveries from sub-contractors & suppliers. Advice on suitable trading conditions and other measures to limit liabilities. Review of proposed SLAs & contracts to assess any exposure to claims which may not otherwise be recoverable from insurers. Dedicated point of contact for customers & subcontractors where required to resolve any issues. Paul Graham, Partner of Goods in Transit Claims Management (GITCM) has spent over 35 years dealing with Haulier and Freight Forwarders. For a hassle-free solution to you goods in transit claims, call Paul Graham on 01772 280285. 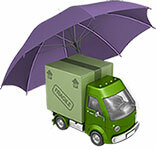 GITCM is an independent company specialising in the management & handling of Goods In Transit insurance claims.